Furman's 44-38 win over Western Carolina. 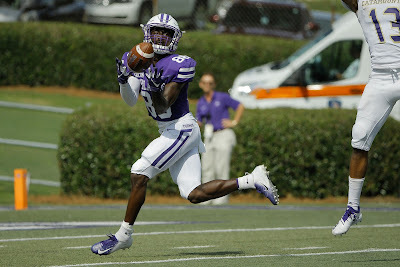 Photo courtesy of Furman. It had been 322 days since Furman last played a home football game prior to Saturday and fans at Paladin Stadium got a little taste of everything. There was a kick return for a touchdown, a blocked punt, a blocked extra point and more than 1,000 combined total yards of offense. Most importantly for the Paladins, the home fans enjoyed a win. A Furman offense that has struggled to run the ball much of the season piled up 339 yards on the ground as the Paladins defeated Western Carolina, 44-38. It's the first win of the season for Furman (1-3, 1-1 Southern Conference) and first loss for the Catamounts (3-1, 1-1). "There's a sense of relief. This was a good win. 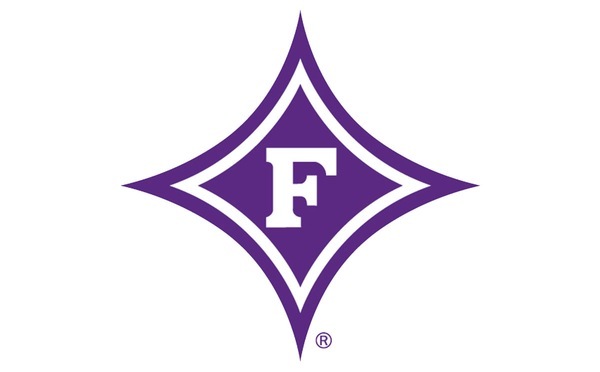 I'm just proud because they've been working so hard," Furman coach Clay Hendrix said. "It was just a great team effort. ... I've said all along - and I think we showed signs today - we can be a good football team. "We're going to have to find ways to win and be a grinding bunch. We still made some mistakes that hurt us, but my hat's off to that (WCU) quarterback. We got after him and he made some unbelievable plays." Despite being outgained 577-472 in total yardage, Furman had a comfortable lead much of the day. Ridge Gibson's one-yard touchdown run midway through the third quarter pushed the Paladins lead to 38-17. That 21-point lead was eerily similar to last Saturday's loss at ETSU in which Furman blew a 27-6 third quarter lead. It became way too similar after Tyrie Adams' fourth touchdown pass of the day cut Furman's lead to 38-31 with 8:47 left in the game. The Paladins responded with a drive that was less conservative than the ones that resulted in a poor offensive effort over the final quarter-and-a-half last Saturday at ETSU. It appeared that WCU had forced its second straight three-and-out and Furman might punt for the third time in a row after not punting all day. Instead, Harris Roberts gained two yards on a quarterback sneak on fourth-and-inches. Three plays later, Devin Wynn took a backwards pass from Roberts and ran 50 yards for a touchdown. The extra point was blocked to leave Furman with a 44-31 lead with 5:27 left in the game. "I was probably the most proud of that drive. ... It (the touchdown play) was a check down. It was the old play that everybody loves for us to throw over the top, but they covered it. I was standing right about the line of scrimmage, saw it left his hand and knew the ball was going backwards," Hendrix said. "I kept waiting for them to tackle him, but he kept making guys miss and breaking tackles. He made a heck of a run to get it in there." Adams marched the Catamounts down the field on their ensuing possession. On a play that was initially ruled incomplete, video review confirmed that Connell Young made a tremendous catch of a seven-yard touchdown throw by Adams as WCU cut the lead to six with 1:41 left. Furman running back/first baseman Deon Sanders pounced on the onside kick like he was fielding a one-hop throw on the baseball diamond. With the Catamounts having their full allotment of timeouts, the Paladins still needed a first down to seal the win. Wynn provided that when he took an option pitch on 3rd-and-4 and ran for a 13-yard gain before Roberts kneeled out the clock. "I might have punted it down there. I don't know. But we ran a play that had been successful for us (on third down) and executed it," Hendrix said. "It always feels good to end the game on offense in the victory formation." Wynn led the Paladins with a career-high 98 yards rushing on seven attempts, while Roberts had 82 yards on 11 carries, including a career-long 48-yard rumble. Darius Morehead had 74 yards on five rushes, including a career-long 46-yard touchdown run early in the second quarter. Roberts had a solid day passing as well finishing with 133 yards on 9-of-11 passing with an interception. Roberts' first career touchdown came on a beautiful 45-yard strike that hit Dejuan Bell in stride and helped push Furman's lead to 28-10 midway through the second quarter. "I think today just helps us see how good we can be when we play to our abilities," Roberts said. "Today, we went out and did a lot of really good things and made some big plays. But what it came down to is we were just doing our job and executing what we were supposed to." Coming off last week's gut-punch of a loss, things didn't look much better when WCU opened the game with a touchdown drive that took all of 83 seconds. Bell, a freshman who mistakenly took a knee on a late kickoff that proved costly at ETSU, atoned for that error when he raced 97 yards for a touchdown with the ensuing kickoff to tie the game. That swung momentum right back to Furman and the Paladins rode that wave to a 31-10 halftime lead. "I was proud of the way (Bell) he came back. He practiced really good this week. He's a real prideful kid and that hurt him a little bit," Hendrix said. "There was plenty of bad to go around in that last game. It wasn't just that." Adams overcame a rib injury suffered in the second quarter to finish with 424 yards on 25-of-36 passing with five touchdowns and no interceptions. Daquan Patten, son of former NFL receiver David Patten, had six catches on 159 yards and two touchdowns. While it gave up plenty of passing yards, Furman's defense was able to hold WCU's running game in check. Adams and Connell Young entered Saturday ranked first and second in the SoCon in rushing with and average of 101.3 and 97 yards, respectively. Young finished with 52 yards on 14 carries Saturday, while Adams had 48 yards on 19 attempts. The Paladins finished with four sacks, including three by reserve freshman bandit Adrian Hope. Hope, who also forced a fumble, has a team-high six sacks this season. Elijah McKoy had nine tackles and two forced fumbles - each in the red zone - for Furman. McKoy had another forced fumble wiped out by a penalty. Chris Washington led the Paladins defensively with 12 tackles, including a half-sack and two quarterback hurries. Furman will be off this week before returning to action Oct. 13 as it hosts Wofford at 1 p.m.